A dental implant is a device that is surgically placed to integrate with your bone to replace missing teeth. At Smiles on Queen, we recommend dental implants for patients looking for a definitive prosthetic solution that allows you the freedom to smile and chew like you did in the past. Having your teeth whitened can be a simple or hard procedure, depending on the condition of your teeth. For some, teeth whitening operations occur naturally and fast, whereas for others it poses challenges because they have fillings and crowns in their teeth. In the latter case, Smiles on Queen Dentistry recommends such clients to come in for a veneer or dental bonding operation from our specialized dentists Bolton so as to effectively achieve that perfect bright smile they desire instantly and without hassles. Below, we have analyzed both dental bonding and veneer procedures in more detail in order that you can identify which procedure suits your needs and pocket. 2. They have an enduring protective layer which is easy to attain and hard to stain. 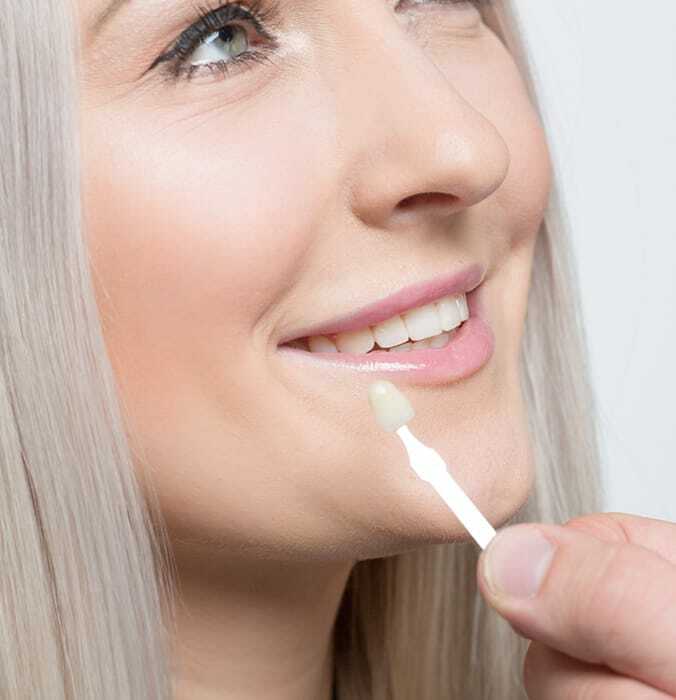 This will require our dentists to obtain a mold from the client’s teeth and take it to the lab so that they can make an ideal fit which will be directly fitted to your teeth. This costs around $900- $2,500 per tooth and the complete procedure involves two dental sessions. Despite being pricey, they are still very common because of the fact that they can last for 15 years and beyond. Although they are not as durable as porcelain veneers, many clients prefer this option because they require only one visit to get them bonded to your teeth. Additionally, a composite veneer costs $250 per tooth, making it less expensive than the porcelain veneer. Are you suffering from damaged teeth? Our dental bonding is a quick and effective choice to restore your smile. By use of a composite resin, our dentists will excellently cover broken/chipped teeth, gaps between teeth and reshape teeth which are uneven. It also recommended to clients with discolored teeth. The procedure entails roughening the affected surface, smearing resin on it, then toughening it with a special light. Our key goal is to ensure that the resin is reshaped and molded to resemble an actual tooth so that once it hardens, you can have a beautifully glistening surface. The reason why you should select dental bonding over other procedures is that it is performed on one visit helping you reduce the hassles. Additionally, it will give you a natural look and smile as the substance used will have your teeth looking like actual teeth. Although it offers such amazing benefits, dental bonding also has its downsides. To begin with, it is more costly than a dental filling procedure. To add to that, it is very unsuitable to clients who smoke. If you are a smoker you could either inquire from our dentists Bolton for the recommendable procedure to help you achieve your goal or quit smoking altogether. The reason behind this is that the material used up in bonding is highly absorbent, meaning that persistent smoking will eventually give you yellow teeth. If you are unsure of which dental procedure will help you achieve that perfect smile, come in and get assistance from us. We are ready and available to give you the assistance you need. What Causes a Metallic Taste in the Mouth? Do I really have to go to the dentist every six months? Do I need x-rays at each visit? I want to find a new dentist. How can I find one, and how can I get my records transferred? When should I take my child to the dentist for the first time? What's the difference between the bleaching I can do at home with a kit from the store and the bleaching that my dentist does? Does my dentist need to wear gloves and a mask, and how do I know he or she is using clean tools? Why doesn't my dentist just accept payment from my insurance company? I don't have dental insurance and can't afford to go to the dentist. What can I do and why does dentistry cost so much anyway? Our main priority is your and your family’s safety and comfort. We know dental anxiety is a real issue, and we deliver all our treatments in a gentle, friendly, and non-judgmental manner. 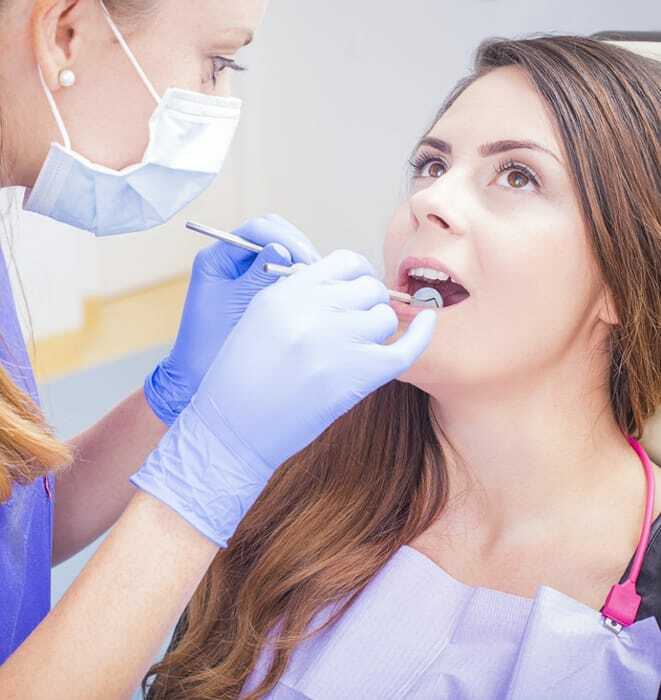 We treat patients of all ages and from all walks of life, so whether you would like a smile makeover with veneers and lip fillers, or you’ve been trying to ignore a painful tooth that needs attention, Dr. Hung and Dr. Norsen will be happy to see you! I am beyond grateful to the staff at the Smiles On Queen. I until the past 6 months had allowed my health and especially my dental health to rapidly decline. I had avoided the dentist for close to a decade and had a lot of fear, shame and embarrassment regarding the state of my teeth. From the moment I entered the office and furthermore on my call to book my appointment I was met with a degree of compassion and understanding that quite honestly has left me overwhelmed. The care, patience and expertise of the hygienist was extraordinary. Additionally the receptionist was equally as kind and understanding. Thank you - you have done so much for my self esteem - I can smile again without having to worry about the appearance of my teeth. I would highly recommend this office to anyone. I was referred to this office by a friend because they offer IV sedation. I was very anxious at the dentist before but I was able to remove my wisdom teeth and I did not feel pain or discomfort. The dentist Dr. Lawrence was confident and told me what I was to expect afterward in terms of minor swelling and they also told me to come back if I have any problems but I am fine and happy. Overall I am happy this office was able to see me and they are great. This dental office is staffed with some of the best people you will ever meet. First of all I would like to say that I’m really afraid dentists (I think its dentistophobia 😊), I've been to over 5 different ones with the same negative results from all. My mother is a cancer survivor and suggested that I check out her dental office...so I did. I was greeted by a team of fantastic people concerned with nothing but my well being. These people are angels sent here to help others in a time of difficulty, it is, honestly an absolutely amazing place. This was by far one of the best dental experiences I've ever had. I have a huge fear of the dentist and was open about my fears upon arrival. Dr. Norsen was kind, caring and catered to my needs and phobia. I 100% recommend this dental facility. I also felt nothing while receiving my fillings and I'm very hard to freeze and had a lot of work that needed to be done. Over all an awesome experience for the dentist.